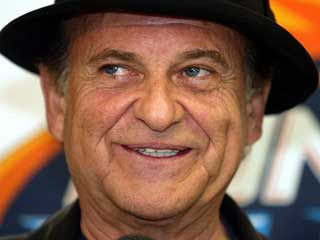 So the man some affectionately call Joe Pesci in Regina has been fired. Who replaces Dale Derkatch as head coach then? I'll get into that in a second, but first a couple of things. 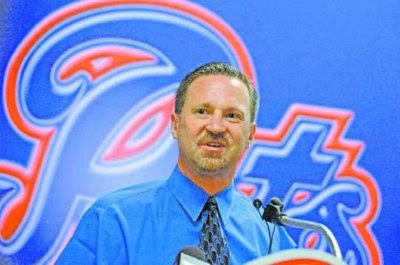 Firstly, Pats General Manager Brent Parker will join Guy and myself tonight on TPS. 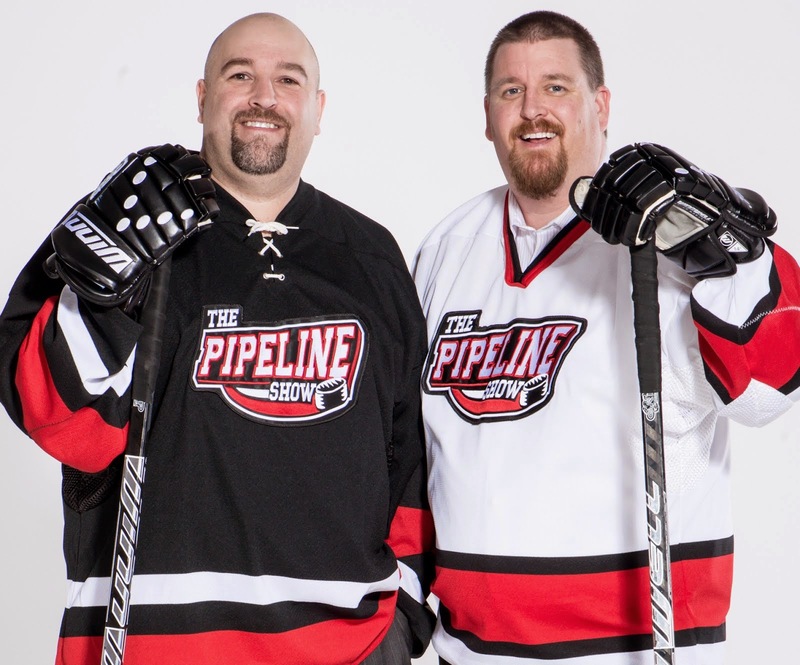 The show airs from 7-9 mountain time on the TEAM 1260 AM in Edmonton or online around the world here where you can also find out who else is on the show. Secondly, after speaking to a few people in Saskatchewan here are some thoughts on why Derkatch and his assistant Terry Perkins were blown out. Did Brent Parker overestimate Dale Derkatch's ability to adapt to the WHL after coaching only Bantam and Midget at Notre Dame? These are questions we'll ask the G.M. tonight as well. Some say you don't become a real head coach until you're fired. That's not the case for everyone (Brent Sutter) but if it's true here, this experience should help Derkatch in his next job. As for his replacement, here are 5 possibilities, and who they are currently coaching. 5. Chad Mercier-Bonnyville Pontiacs-AJHLChad was an assistant coach in Regina for 5 seasons, serving under Lorne Molleken and Bob Lowes. He was passed over for the job when Curtis Hunt was hired, and Mercier headed north to Saskatoon to rejoin Molleken. Mercier is a former Pats goaltender and has strong ties to the club. For the past 3 seasons he's been the bench boss in Bonnyville and led the Pontiacs to a 35 win season and a 4th place finish this year. Mercier reportedly received an interview last year and could be on Brent Parker's radar again this season. Habscheid's name has come up for nearly every vacant WHL job in the last couple of years. But what also usually follows is word that he wants to much money and to much control. He was fired after one season in Boston when Dave Lewis got the axe, and is still getting paid by the Bruins, so he's pretty picky about what job he'll take. He was interviewed last year as well, and was in the running for the job in Prince George from what I heard, but his terms were to high for both teams. 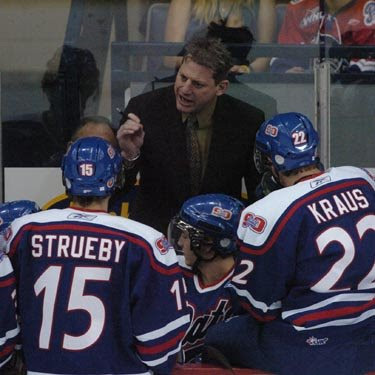 He does bring plenty of WHL experience as he coached for 7 years in Kelowna and Kamloops winning the Memorial Cup with the Rockets in 2004. He also coached Canada at the World Junior Championship in 2003. He's the biggest long shot on the list and some of the polish has come off his reputation after a down year in Camrose this year, but he's won plenty in the past. Up until this year the Kodiaks were perennial RBC favorites and have produced plenty of great players. Mason Raymond, Joe Colborne, Mike Connolly. The question is would Rybalka leave a very cushy gig in Camrose for a possible rebuilding club in Regina? Did Brent Parker make the move on gassing his head coach today because Curtis Hunt suddenly became available again? I have a hard time believing Hunt would leave the AHL to return to the WHL, but if he was going to be let go by Ottawa for the second time it could happen. Hunt was fired along with Craig Hartsburgh but was given the head coaching job for the Sens farm team in Binghamton. He led the baby Sens to 15 wins in their last 32 games but came up 2 points shy of a post season berth. His name came up several times today in conversations I had about who replaces Derkatch. Many people don't know this but I've been told Brockman very quietly received an interview last year before the Pats settled on Dale Derkatch. Did they go for sizzle instead of steak? Some people think so. Brockman is the SJHL's version of Boris Rybalka with more bling. 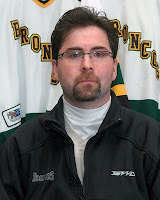 He's coached the Broncos for 11 years and has won 40 plus games the last 3 seasons, including 48 a year ago when Humboldt won a National title beating Rybalka's Kodiaks. The Broncs have won the SJHL title the last 3 years including 08-09 and are back at the RBC looking to defend their title. Brockman also won a national title in 03. This comparison to Rybalka makes me sick. Talk about the sizzle and the steak. Boris is the Marv Levy of the AJ. The bills went to alot of superbowls too, Brockman is the real deal. stop the comparisons, especially when you say he is the Rybalka of the SJ? one guy wins, one doesn't. It is nice to see some of the junior A guys getting some oppurtunities. that's why I said he's Rybalka with more bling. Dean in the 780...we have a lot in common, expect on this issue. Just you so you know, Rybalka has led the Kodiaks to the National Championship 5 times, the final game 4 times and won it all once. Seems like pretty stats to me. In that same span, which is a 9 year period, Brockman has been to made 3 trips to the RBC including this year and has 2 national titles. If they don't win this year he has one more title than Rybalka, but also 2 less trips to the tournament. Going through the AJ and BCHL is generally thought of as a tougher road as well. Both are good coaches that are deserving of making the next step. One isn't that far below the other as you pointed out.